This week I am staying with the food theme. This food can be eaten at Breakfast, Lunch or Dinner and it goes with just about everything. There is no smell like it when it’s cooking and I like to eat mine extra crispy. 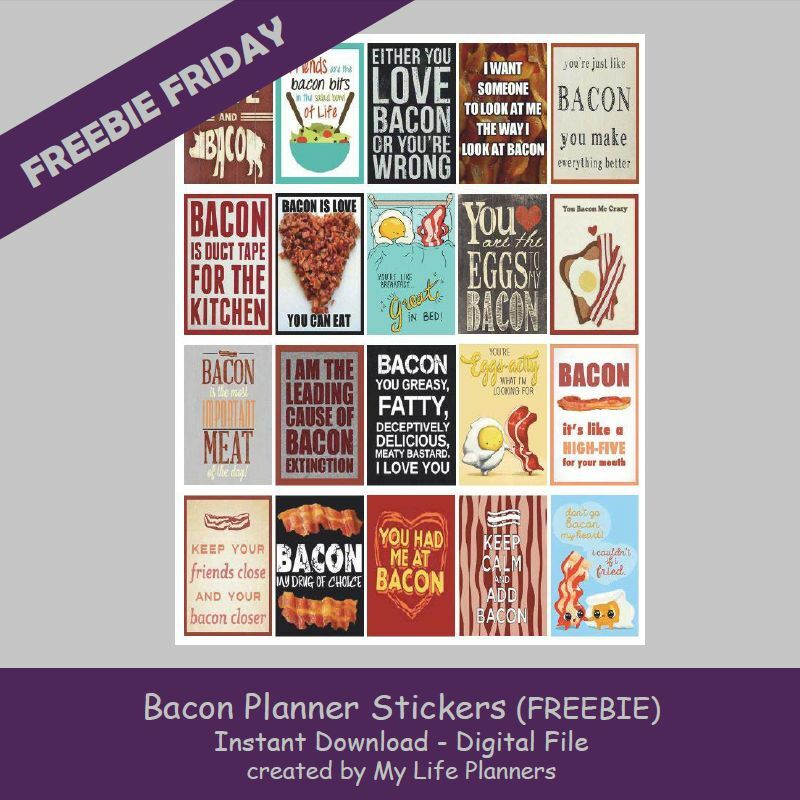 This week’s Freebie Friday features Bacon Planner Stickers. Are you ready to bring home the bacon?